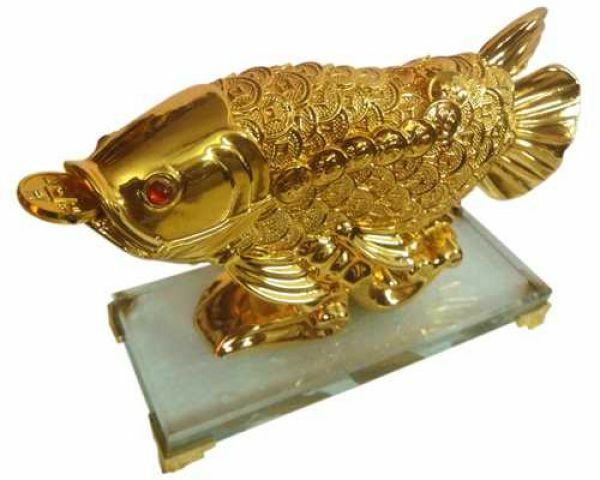 GOLD PLATED AROWANA FENG SHUI FISH This 24k Gold Plated Arowana Fish having gold coins scales and a gold coin in its mouth perched majestically on an elegant base, also known as Dragon Fish, is an ultimate Feng Shui symbol of abundance and prosperity and to bring in the positive energy. It is also a powerful energizer of wealth, career and happiness. A Majestic choice to gift your loved ones, clients, employees & business associates...comes in presentation gift box. 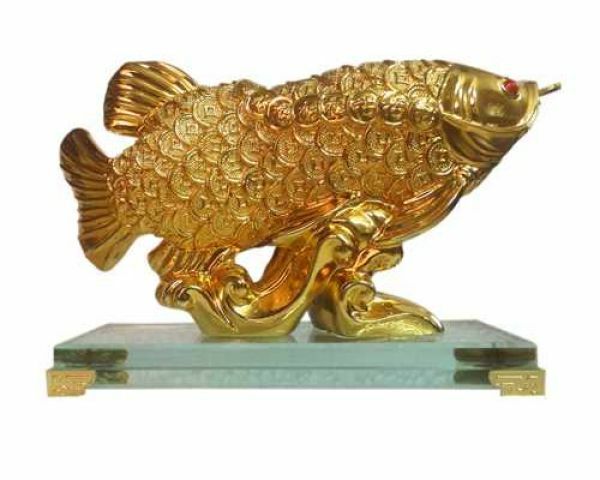 A real royal gift for personal, festive, wedding and corporate gifting An auspicious masterpiece to adorn your office/study table or showpiece shelf at home. A priced possession for your collectible collection. 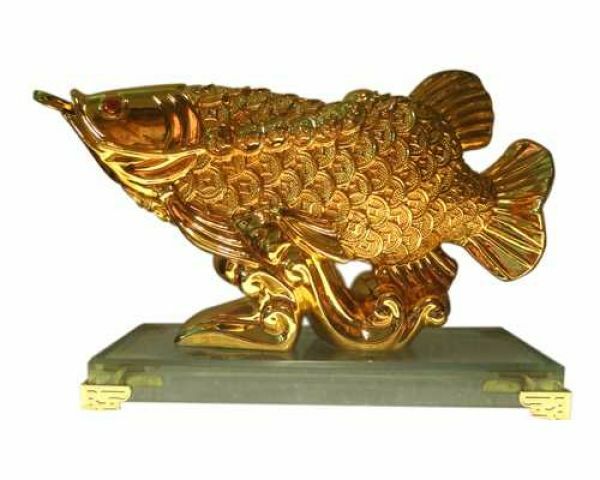 The Chinese character for fish, yu means abundance and coupled with the dragon being the ultimate good luck symbol, the Arowana is hence a very powerful Feng Shui enhancer associated with wealth, luck, strength and power. Disclaimer: The images represent actual product though due to photographic reasons or resolution of your monitor colour of the image and product may or may not slightly differ.